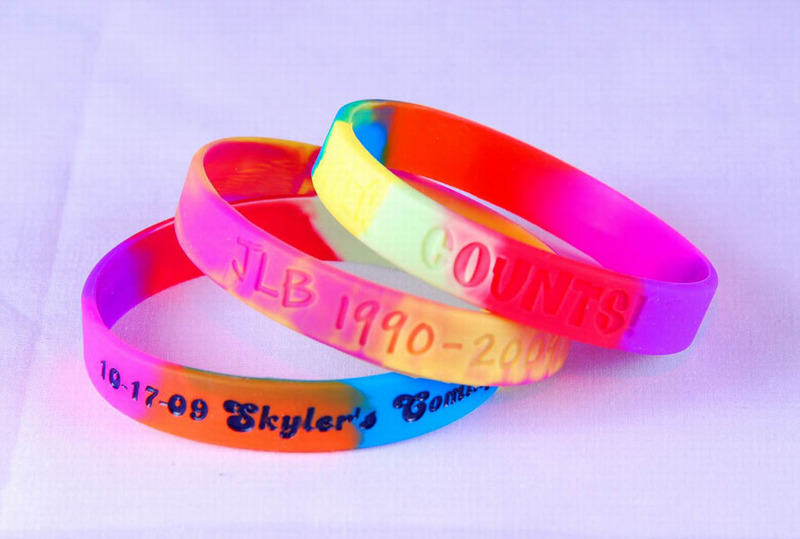 Custom made debossed multi-colored wristbands (also called swirl or tie-dye) available in adult or youth. Your PMS# for the color is acceptable. Please contact when you need the logo with color filled in. Size : 8" x 1/2" x 1/16"
Imprint Size : 7" x 1/2"
Items per carton : 2500 pcs/carton.